Clean the octopus. Cut the base of the head, turn it inside out to empty it’s contents including the eyes. Remove the beak in the center where all of the tentacles meet. Rinse the octopus under running water. 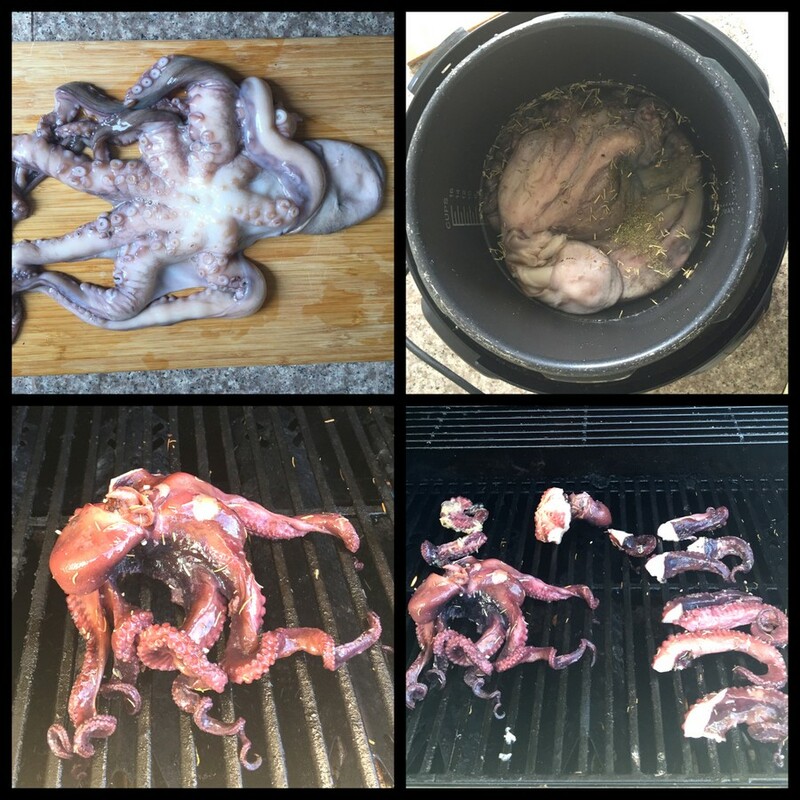 Put the octopus in pressure cooker and cover with water. Add a clove of garlic, salt and spices (I used rosemary, dill and italian seasoning). Cook at high pressure according to manufacturer’s instructions for 10 minutes. Allow pressure to go down completely. 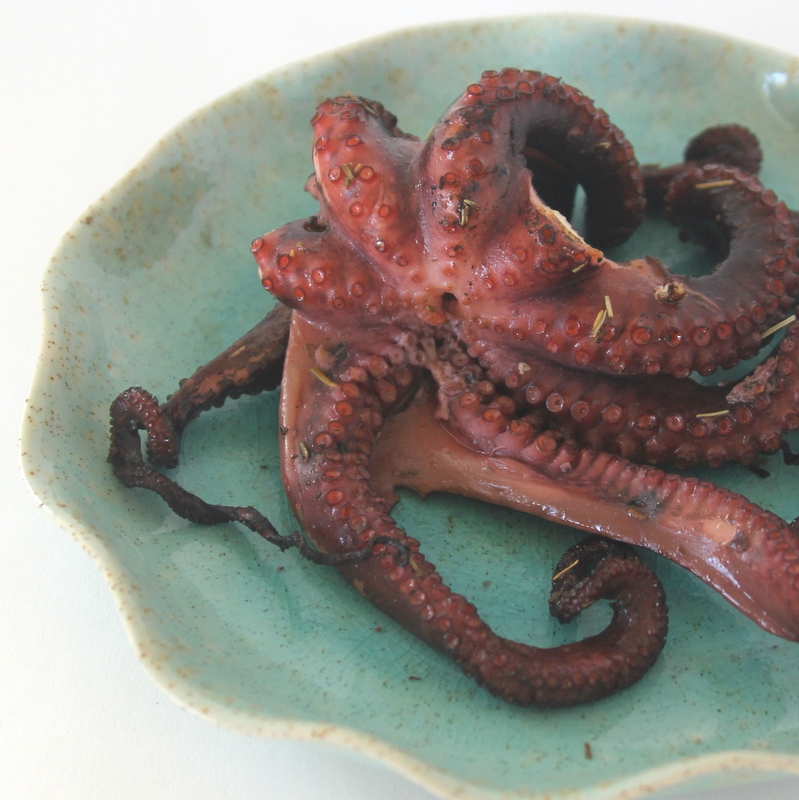 Check the octopus for tenderness by seeing if a fork will sink easily in the thickest part of the flesh. If not, close the top and bring it to pressure for another minute or two and check again. When the octopus is ready, remove and drain. Place in a bowl, drizzle with olive oil and put in the fridge. Add a squeeze of lemon, minced garlic, more dried spices and olive oil to the bowl. Place the octopus on a hot grill (we tried a whole octopus and also just cut tentacles and pieces and both worked fine) for about 5 minutes. When the curly tentacles and the sucker rings are crispy, remove from the grill, add another squirt of lemon juice and serve. SO YUMMY guys. 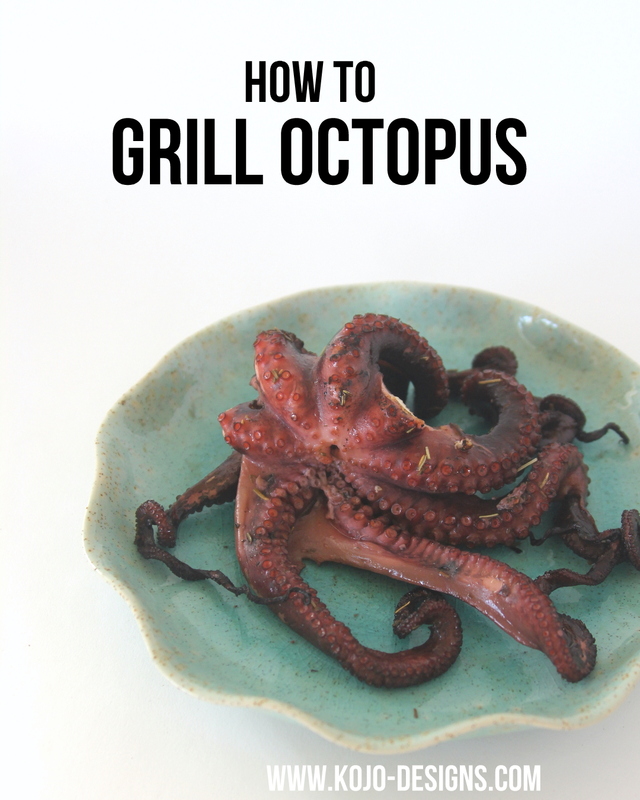 Seriously, it reminded me of the grilled octopus we had on the beach in Greece. So good.